Types Of Pillow Fillings/Inserts – How To Choose The Right One? Types Of Pillows Inserts/Fillings – How To Choose The Right One? Getting a comfortable sleep not only depends on choosing the right mattress, bed sheets, comforters, duvets, etc. but choosing the right pillow is integrally important. It means that finding a good pillow gives a good night sleep. Unfortunately, many people don’t know about the influence that their pillows have on the quality of their sleep. It is really important to choose the right type of pillow fillings to rest the head upon every night. Yes, many of us are unaware that how many different, innovative and diverse types of pillow fillings are now available in the market that gives us an ultimate comfort. So, this diversity of pillows helps you to choose the right type according to your needs and preferences. What are the different types of pillow inserts/fills? Here we discuss the different types of pillows depending on their inserts or fillings. 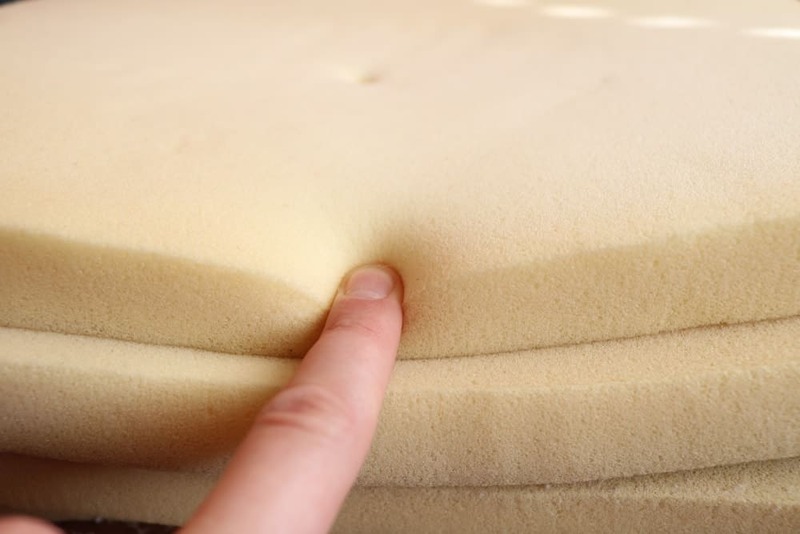 The type of insert of fill used inside the pillow is the first factor to influence the comfort level and it also determines the degree of firmness or softness. Various types of pillow fillings are used according to warming or cooling needs or to help in managing different allergies. A group of soft fibers that lay nearest to the skin of a bird and that is located near its chest is called as “down” – sometimes, also referred as “undercoating of a bird” because down is a layer underneath. Down is usually comes from duck, goose or swan and the high-quality down is called as Hungarian Goose down or European White Goose down. The clusters of down spread out from a central point and so create a 3D effect that gives the cluster an insulating quality so that it can trap air. In this way, it keeps the bird warm. Various down pillows are filled with feathers as well, so keep a look at the down to feather ratio while buying the pillow. Pros: Down is soft, natural, lightweight and insulating. Down pillow provide protection and warmth. It is best for stomach sleepers because it is cushiony. Down pillows can last longer than the synthetic alternatives. Cons: Down pillows are associated with some allergies. They can be expensive. They can be difficult to clean. They need fluffing to keep loft (it is the height of pillow measured when it is resting on a flat surface). They are made from a synthetic filling called “puffs of polyester”. Down alternatives are manufactured with the intention to mimic the true down pillows and so provide soft to firm comfort level. They are also less expensive than the down pillows. Pros: Down alternative pillows are affordable, soft, and lightweight and can retain the shape. These pillows are naturally hypoallergenic and so they are good for those who have down allergies. They can be easily cleaned. Cons: It becomes difficult to mimic the insulation (warmth feeling) like the down. 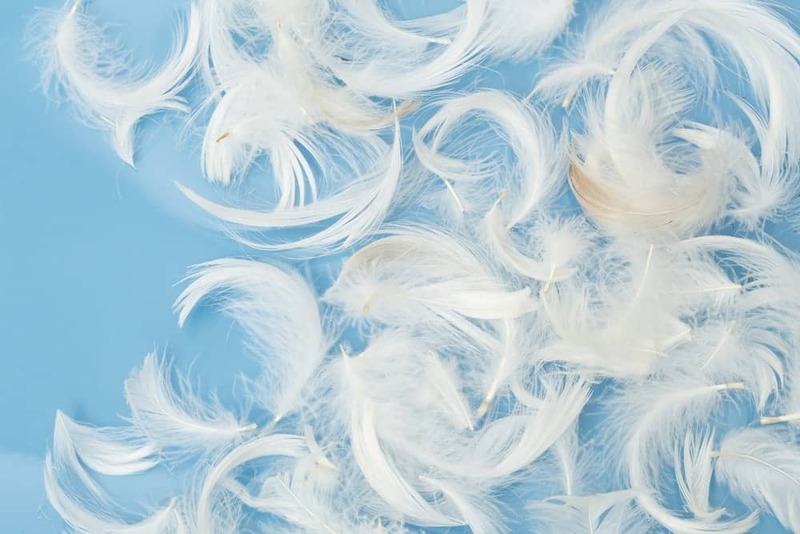 In a feather pillow, feathers come from the wing and back of the duck or goose. These feathers are flat and have quills (tube-like part of a feather) running through them. The main difference between these feathers and down feathers is that they lay on top of a bird while down feathers lay underneath. Feather pillows are soft and fluffy but they have the ability to retain their shape and firmness longer than the down pillows because these clusters are larger and more structured than the down clusters. Pros: Feather pillows are soft, lightweight, firm and structured. They can hold their shape. They are commonly used pillow fills because they are strong and can spring back when under pressure. The micro feathers are very curly that gives them the ability to support the weight. Cons: Feather pillows may feel hot when sleeping. They flatten easily so they need fluffing. Allergies can be associated with them. Sometimes, the quills may come out from the pillowcase and cause irritation. 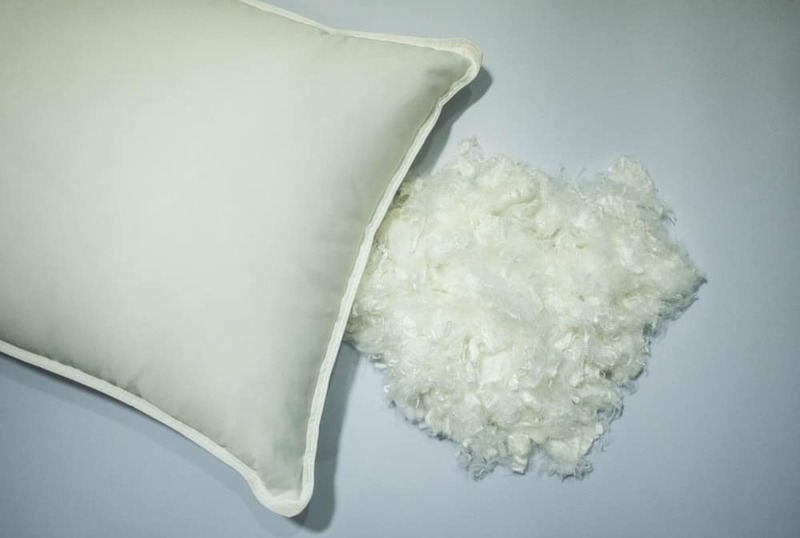 These pillows are made from a chemical called, “polyurethane” and sometimes referred to as “visco-elastic”. Because it is a man-made material, it slightly retains the heat. 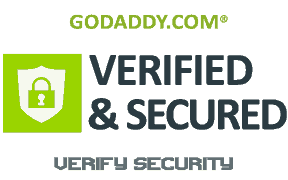 The density and responsiveness of memory foam pillows contours the head and neck (shape and weight of the body) when sleeping and these type of pillows regain the original shape upon waking. That is why they become popular. Memory foam pillows that have a wedge-like shape help to manage the health-related problems like acid reflux or GERD. They are also available in various designs from ultra slim to loftier. They are also manufactured in different shapes other than the standard pillows. 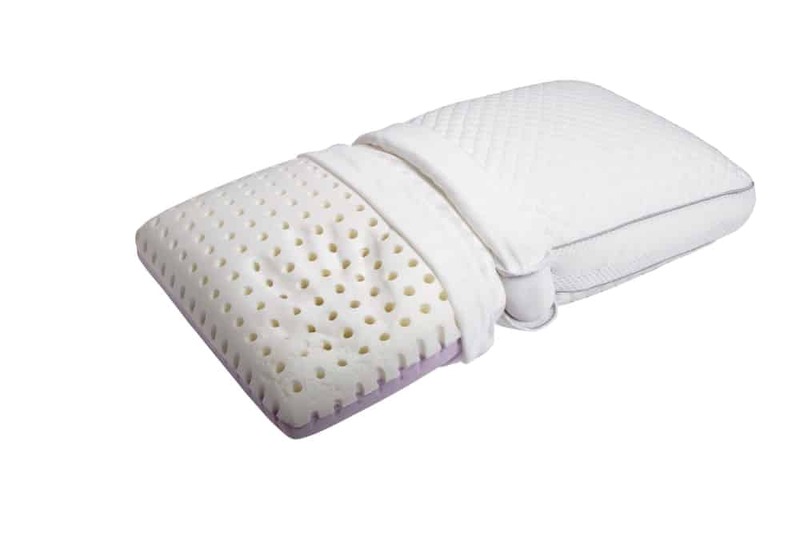 People like to buying memory foam pillows because they help in aligning the back and spine. Pros: Memory foam pillows are durable and can be contoured according to head and neck. They provide support for relieving pain and help in managing other sleep-related and health-related issues. Cons: The solid foam piece can cause some breathability issues. They can become too firm for the stomach sleepers. These are the innovative versions of memory foam pillows. 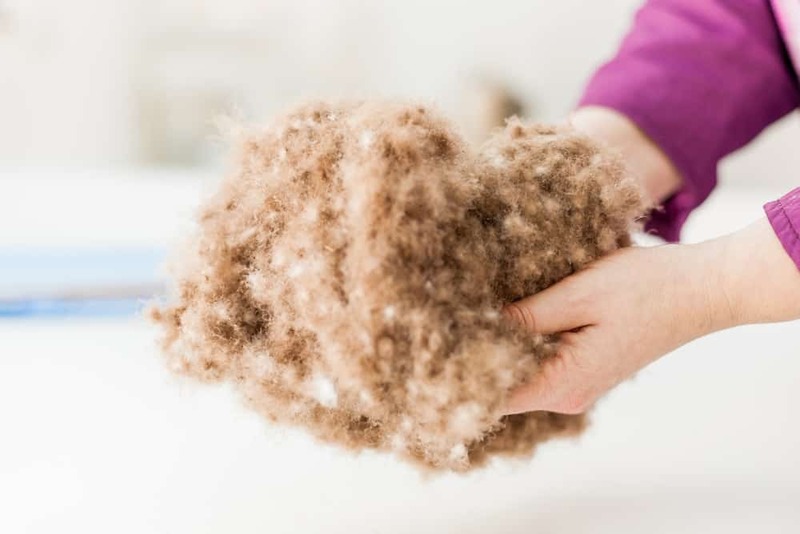 Shredded memory foams are very much popular among people because the shredded pieces of foam create more flexibility and adjustability that easily fits different sleeping positions and preferences. But at the same time, they have also that density and responsiveness like the memory foam pillows. They are less firm than the memory foam pillows and so they can easily be molded or shaped. Pros: Shredded memory foam pillows are good for side and back sleepers than the stomach sleepers. They are supportive, shapeable and moldable. They are easy to clean/care. Cons: They may flat over the time and so need fluffing. They may become too firm if overstuffed. Usually, they take much time to fully dry. 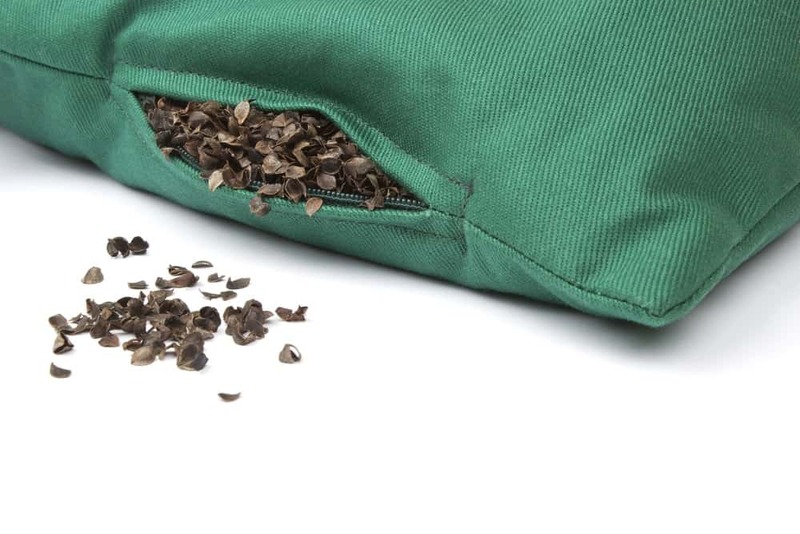 These type of pillows are filled with “buckwheat hulls” that are the hard outer shells of buckwheat seeds. Buckwheat hulls have various qualities that make it a useful natural material for bed linen. They are natural. Pros: Buckwheat pillows are breathable (allows the flow of air), hypoallergenic, supportive and moldable. They are also a durable contouring material to the head and neck while keeping the spine aligned. Cons: The buckwheat hulls make noise when they rub against each other. These pillows have a crunchy feel. They may become too much firm for the stomach sleepers. They may appear as heavier than the other pillow fillings. 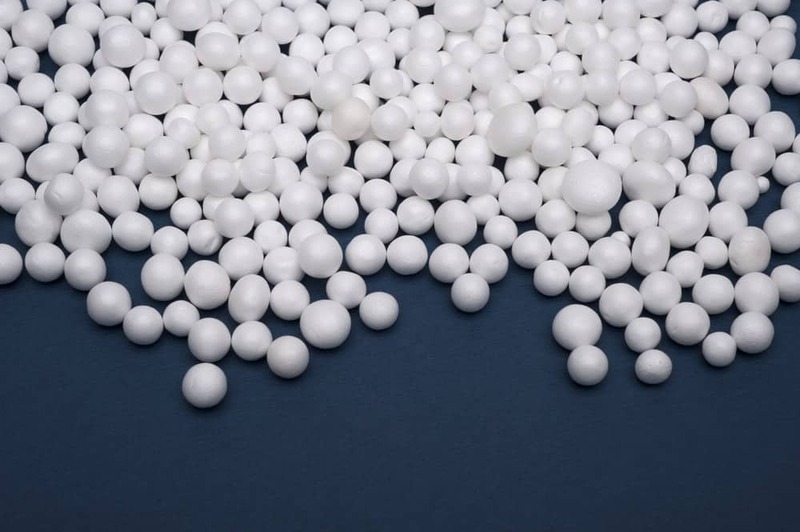 These pillows are made of micro-beads that are small polystyrene beads. Micro-beads are very popular filling for the travel and bolster pillows. Pros: These pillow fillings allow the airflow and so they are breathable. They are supportive and moldable (they tend to contour to any shape that meets your needs). Cons: They are not eco-friendly and beads are slow to biodegradable. It becomes messy if the beads escape from the pillowcase. 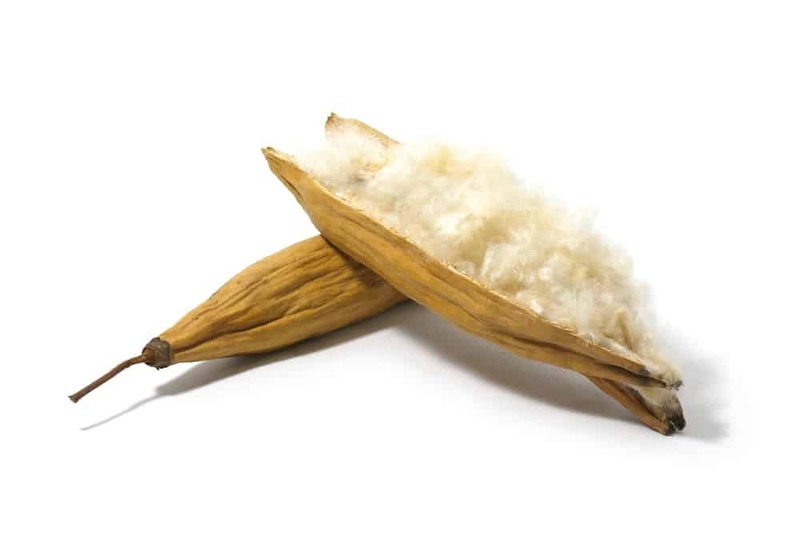 This fiber is found in the mature seed pods of fluff of the “Ceiba tree” – a rainforest tree. Pros: Kapok fiber pillows are soft, lightweight and hypoallergenic. These fibers are commonly used as a natural fill for bedding because they are naturally buoyant. They create a good loft and also maintain their shape. They are eco-friendly, means they can be naturally biodegradable. Cons: Kapok fiber pillow fillings need to be fluffed on any occasion. They are inflammable. They can also be more expensive. It is extracted from a rubber tree that is called as “Hevea-Brasiliensis tree”. Latex pillows are becoming popular because of the qualities such as softness, supportive and last longer. Pros: Latex pillows provide a soft and supportive sleeping surface. They are also durable and a little bit breathable. 100% natural latex retains its shape and responsiveness. Cons: When latex is blended with other materials like polyurethane foam, it loses its durability. Latex pillows are not good for those who have latex allergies. It is not much breathable. It seems to be heavy than down and other synthetic materials. As the name suggests, water pillows are filled with water. 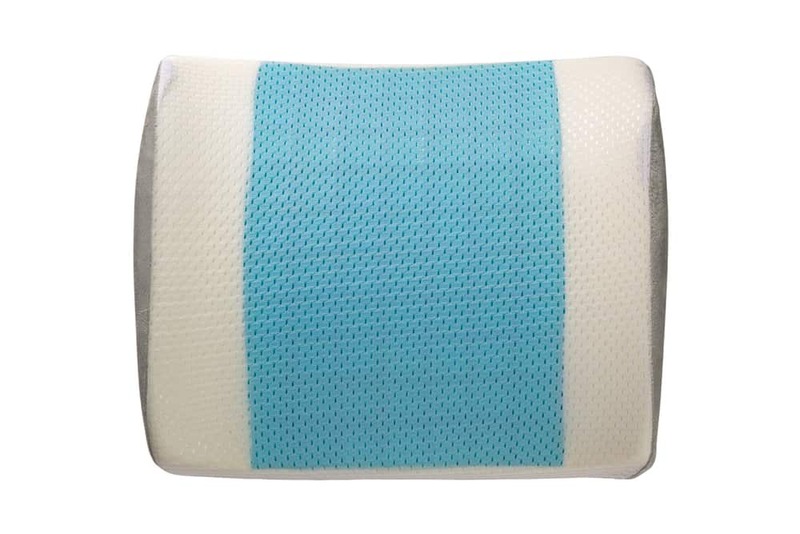 One of the main advantages of water pillows is that they maintain their consistency regardless of the pressure applied to them, as compared to other down, foam or synthetic filling. The comfort level depends on the amount of water filled inside the pillow. Pros: Water pillows support the head and neck and they are anchored to whatever the position and won’t move around. They don’t require any fluffing. They can be easily adjustable upon adding or removing water. They are hypoallergenic. Cons: They may become too firm for the stomach sleepers. If water leaks from the covering, it will ruin the mattress. The gel pillows are filled with gel-infused fibers and the gel layers that keep the pillow cool. They help in drawing the heat from the surface of the skin and due to the conduction process, this heat transfers from the skin to the cooler gel thus giving a cooling sensation. Pros: Gel pillows don’t require fluffing. They provide a cool sleeping surface, they relieve pressure, and they are hypoallergenic. They are easy to care/clean. Cons: This pillow fillings may not be suitable for all sleepers. The sleeper won’t sink into them like the traditional down pillows. 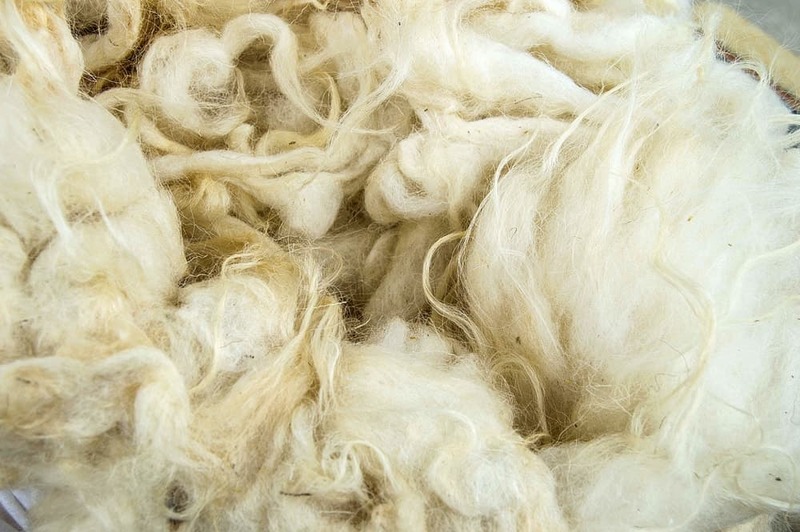 It is all natural fiber grown on sheep and can be used for different textiles including the pillow fillings. The wool pillow is soft, highly breathable and regulates the body temperature (like it does for the sheep). Wool pillows are fluffy and with the time they tend to compress but this doesn’t affect their support quality. Pros: Wool pillows are eco-friendly, naturally anti-bacterial and anti-microbial. They are also dust mite resistant and natural flame retardant. Cons: They absorb odors and need special care like dry cleaning only. Take ample time to assess the features, pros, and cons of each pillow filling and then make a decision that is based on the specific sleeping needs and the personal preferences.